Snow White may be the most quintessential princess of all time, and luckily, she’s also one of the easiest to dress up like. All you need is an apple, some lipstick, and luscious black hair. Is your child not a natural brunette? Never fear! 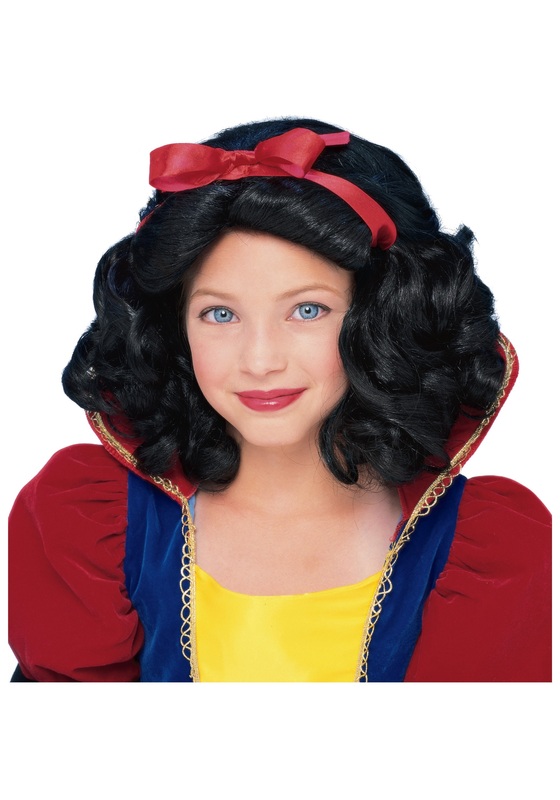 She can get a little help from our Snow White Girls Wig, which gives any girl (or boy, if that’s how he rolls) beautiful black curls. An elastic piece holds the wig easily and comfortably in place, and it even comes with a bright red ribbon to give it a little extra pop. It’s the perfect way to complete your princess’s outfit. Just keep an eye on her around any apples! It was ok but I didn't end up putting it on my daughter. There were a few parts that weren't curled and just looked straight and uneven.